Combining his sense of humor, motivational speech, and street smarts to become a social media star, Fatboy SSE‘s boisterous personality is a natural fit for hip-hop. Ready to return to music, his first love, Fatboy shares Boobie From The Block, his new mixtape. 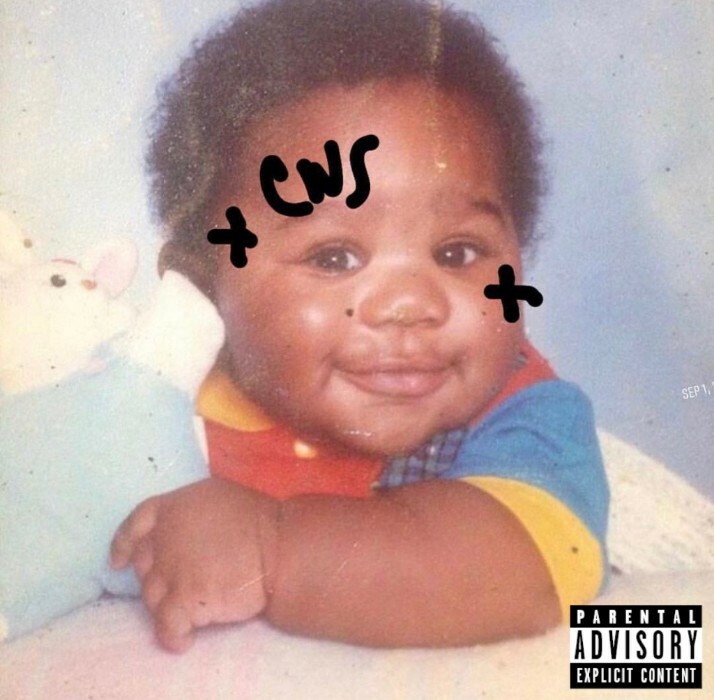 Bursting with the humor, charisma, and personality that Fatboy’s 5.3 million Instagram followers have come to expect, Boobie From The Block showcases Fatboy’s strength as an emcee, as he energetically packs as many punchlines as possible into each track. Though his wit shines through his lyricism, not every track on the tape is light-hearted, as he reflects on his come-up with YFN Lucci on “12 Days,” and celebrates his self-discovery on “Found Myself,” ft. Lil Yachty. Featuring additional appearances from Jadakiss and Lil Tjay, along with guest spots from Fatboy’s Big Biz affiliates Drama, Lar$$en, Crunch Calhoun, and Fuzzy Fazu, Boobie From The Block arrives just in time for Fatboy’s 25th birthday (happy birthday!) via EMPIRE. Showing off all the qualities that made him a viral sensation, Fatboy SSE brings out his whole block for the “Chase Freestyle” video. Switching locations from his neighborhood, to a soundstage, to his infamous Breakfast Club interview, the “Chase Freestyle” video finds Fatboy showing off his boundless charisma, rocking a Garfield t-shirt and several chains as he spits his fiery punchlines over the famous instrumental from Nas‘s “Oochie Wally“: “Well Merry Christmas, then, we gon’ get you missin’ then/Dump your body all in the water like we Christenin'” Featuring many familiar faces from Fatboy’s Instagram sketches, the HipHopSince1987-premiered video is a heartwarming look at Fatboy’s local hero stature in his community, but it makes plenty of room for humor. Equally skilled in a variety of artistic disciplines, Fatboy SSE is an expert at drawing eyeballs. Growing up in Irvington, New Jersey, Fatboy found career inspiration when he was cast in a school play to portray The Notorious B.I.G., a role he took to with gusto. Though his dream was temporarily derailed by legal trouble, Fatboy quickly took his own unique route towards becoming a household name, crashing a Breakfast Club taping to demand that they serve him breakfast, in a clip that has over five million views, and building his Instagram following with a signature combination of sketches, vlogs, and musical content. After building his social following to superstar levels, Fatboy re-focused on music, releasing “Drake,” which has over 1 million streams on Spotify, and “Tymir Freestyle,” a ferocious single with over 1 million views on YouTube, which will appear on the new project. With Boobie From The Block, Fatboy asserts himself as a voice to be reckoned with in rap music and takes his next step toward taking over the world. EMPIRE was founded in 2010 as an artist-friendly, progressive digital distribution company. After early success, and identifying future icons such as Kendrick Lamar, Anderson .Paak, and Rich Homie Quan, EMPIRE was quickly regarded as a tastemaker in the industry and throughout the past five years evolved into a full-fledged record label, distributor and publisher for independent musicians. With the company and roster growing at a breakneck pace, EMPIRE has effectively disrupted a stale business model by bringing its energy, expertise, and acumen to its artists and labels. Today, EMPIRE works with some of music’s hottest talent, ranging from superstars such as T.I. and Snoop Dogg, red-hot newcomers such as SOB X RBE and Mozzy, and established veterans like Jim Jones and Redman. While remaining 100% independent, EMPIRE has also partnered with Atlantic Records for a joint venture, home to breakout star D.R.A.M. and propelled singles by Fat Joe & Remy Ma (“All The Way Up,” 2x Platinum), Tyga(“Taste,” 3x Platinum), and Lil Duval (“Smile”) to the top of the Billboard Hip-Hop Charts. In April 2018, EMPIRE signed a global distribution deal with Universal Music Group for select artist projects.